Desserts, lattes, lotions, decorations, even beer… when it comes to pumpkin, there’s no limits. It’s become insidious. From its stunning orange hue to its yummy taste to its heavenly smell, the pumpkins’ marketing game is strong. 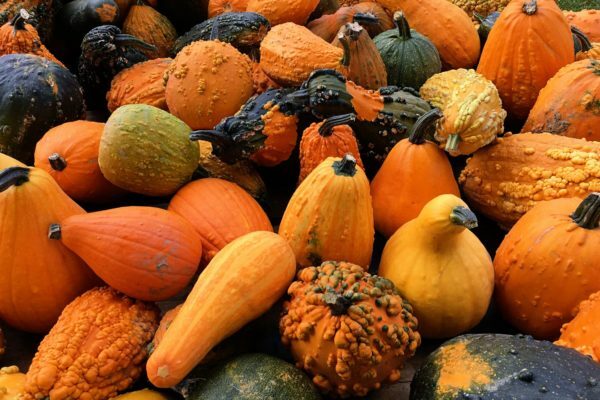 In addition to serving as a canvas for Jack O’Lanterns and being harvested for their seedy treats, pumpkins contain a lot of nutritional benefits that make them good for you and for your beauty routine. Rich in vitamins, this fruit (yep, it’s a fruit) is an ideal natural ingredient to add to your beauty routine. Because it's beneficial to all skin types, pumpkin is an ideal ingredient in all kinds of facial masks. It is rich in vitamin A (soothes and softens skin) and vitamin C (an antioxidant that combats skin damage) and nourishes your skin by promoting the absorption of nutrients. Plus, if you suffer from blemishes, pumpkin contains natural ingredients like vitamin E and T (or torulitine) that will help fight the temporary redness and excess oil! If you are interested in trying your own pumpkin facial mask, here are two recipes that are easy as pie (get it?) and are great for your skin. As an added bonus to this nourishing and moisturizing mask, the yogurt and brown sugar will gently exfoliate the dry, dead skin cells, leaving your face softer and ready to absorb the benefits of the pumpkin. Mix, apply to face and allow to dry about 10 minutes. The apple cider vinegar will help reduce redness and swelling. The brown sugar gently exfoliates and the pumpkin moisturizes and enriches your skin. Here is a great recipe to try—throw in some nutmeg for extra scent! Mix until smooth and creamy. Rub into skin and let sit for 10-15 minutes and rinse off. Keep refrigerated. Leaves your skin smelling good enough to nibble! With Fall comes gorgeous leaves and decadent smells, but windy, dry air that can chap your skin and lips follows. This officially marks the beginning of constant lip balm application for the next few months to keep your lips from drying up like a prune. If you want to be proactive or if you just like a soft pucker, here’s a recipe where the star of our show (pumpkin!) can help exfoliate your lips and keep them sumptuously moist all year. Mix very well. Apply generously to your lips in small circles. The sugar will work away the dry, dead skin while the oil moisturizes and the pumpkin provides your lips with nutrients. Rinse clean with warm water. Your tootsies love being pampered for the summer sandals and sandy beaches, but come fall they are ready for some rest and relaxation therapy. Pumpkin is an extra special treat for those hardworking feet! If you want to give yourself a nice at-home pedicure, try these recipes for prepping to paint! Mix ingredients together and apply the pumpkin masque to feet and calves. Wrap in plastic bags. Let it sit for 15-20 minutes and then rinse with warm water. Apply nightly to your feet and cover with cotton socks. Like your skin and lips, your hair is equally as prone to the dry air this time of year. It can leave your hair damaged and looking lackluster. Ya’ know what helps? You guessed it! PUMPKIN! Try this DIY pumpkin hair treatment to give your locks some love this fall. Mix well. Apply to hair from root to tip. Cover with shower cap and let sit for 15 – 20 minutes. Wash thoroughly and follow up with shampoo and conditioner. Not everyone loves the taste of pumpkin, but with so many versatile uses, it’s hard to argue that pumpkin is anything but an incredible fruit! 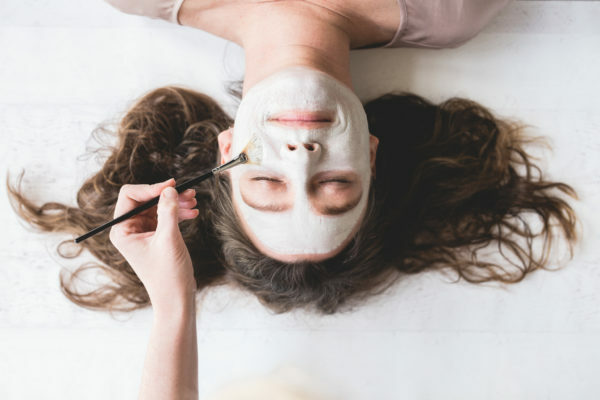 Try these 5 pumpkin beauty treatments this fall or anytime to experience the range of uses for that grinning Jack-o-Lantern! What's your favorite pumpkin skin care recipe? Let us know in the comments! I’m surprised by the foot treatment of pumpkin and vasoline. I’ve read the petroleum product should never be applied to the skin as it is extremely toxic! Hey Loretta! Sorry for any confusion, we recommend using a natural vaseline alternative 😉 The company Alba makes a great one called “Un-petroleum Jelly”, highly recommend.